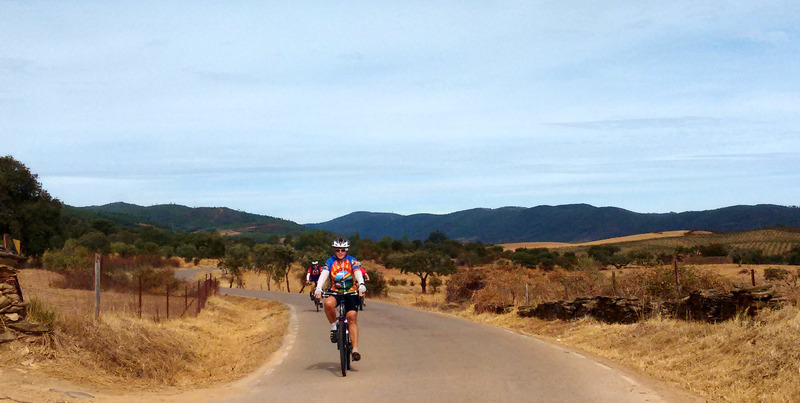 This is a fairly tough circuit – but also quite short – going out to the Atlantic coast from the small town of Aljezur. 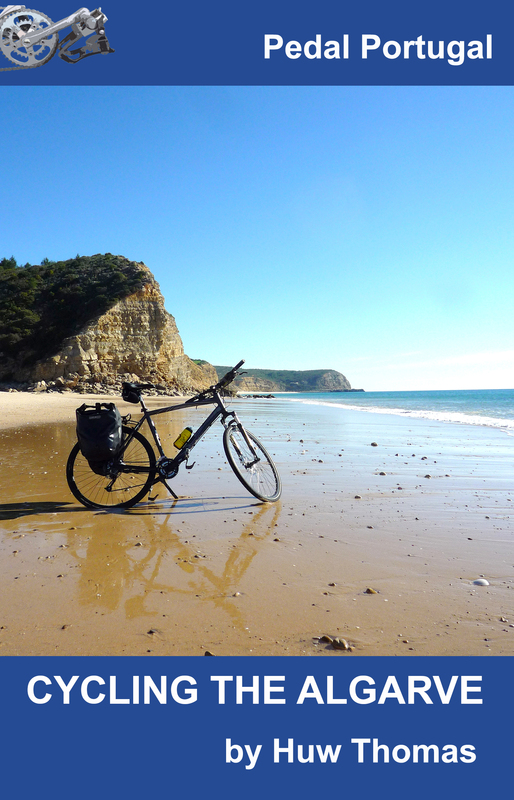 The ride involves a couple of stiff climbs but also offers some spectacular beach and ocean views. Total distance is 30km (18 miles). Moderate to tough. Whichever way round you take this circuit you’ll have two serious climbs from sea level to around 100m (330′) – and the first one will really test your legs. Other potential issues may be heat, the wind and traffic. For much of the way, the views are fantastic – which also means you’re completely exposed to the wind and/or sun! Although close to the coast, it can get very hot down here in the summer months (May-September inclusive) and the sunshine can be intense. The beaches out here are popular with both surfers and general tourists so at weekends and in the summer months you may have to contend with a reasonable number of cars on relatively narrow roads. Having said that, visibility on the road is mostly good. Aljezur is one of the main stops on the road north from Sagres towards Odemira and the Alentejo coast. There’s not a huge amount of interest to the town itself – although it does have some attractive old streets on the hill below the remains of its castle. It’s hard to believe now but the town was once an important medieval port, bustling with industry. But the sea’s now about 4km away and the river completely silted up. 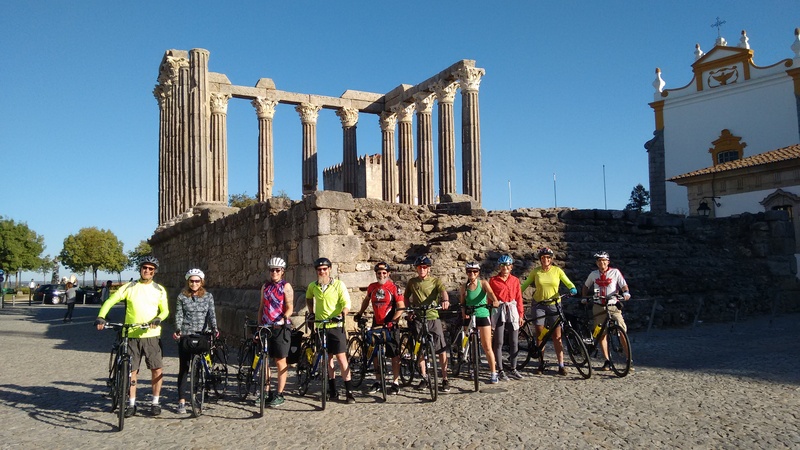 Aljezur offers a range of accommodation – including a nearby campsite. 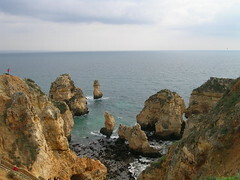 Alternatively, you’re not far from Lagos, Sagres or Odeceixe. You’ll find an Intermarche supermarket in Aljezur – in the modern town across the river – plus plenty of shops, cafes and restaurants. The route shown starts from the bridge over the river, just below the old town. There are cafes here, as well as some parking. Head south out of town on the N120 for about 1km until you see the turn for Arrifana. You won’t miss it, there are brown signs for the beaches – and you can see the start of the hill ahead. 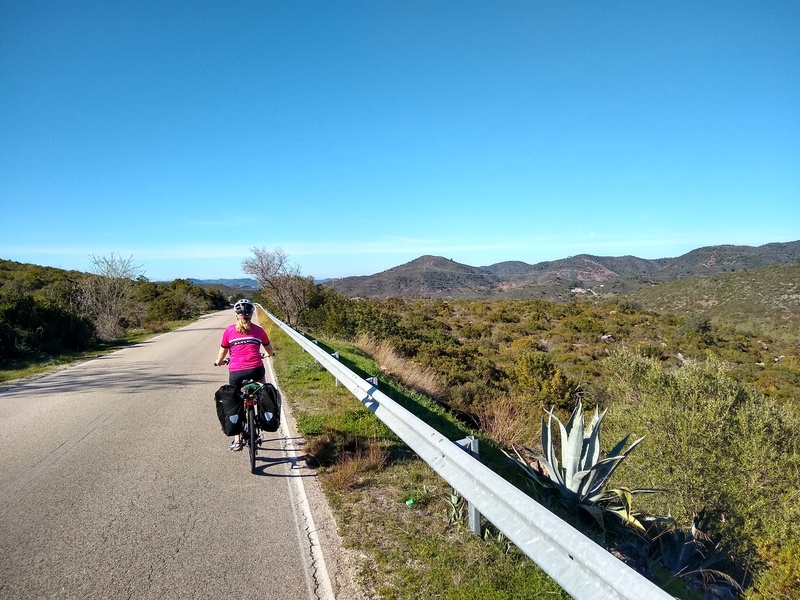 This is the toughest climb, which is why there are two lanes for ascending vehicles – luckily meaning there’s also more room for panting cyclists. When you reach the T-junction at the top, you can turn either way but my choice is to go right. 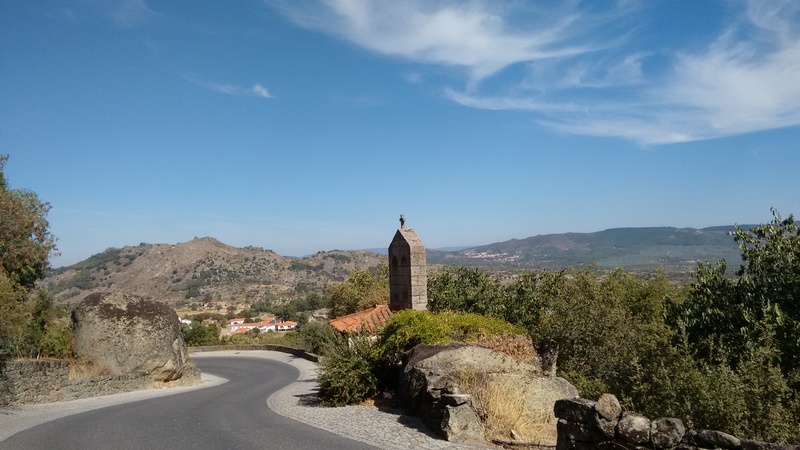 You’re at the top here and the road follows the ridge with the valley of the Ribeira de Aljezur down to your right. Most of the land here is scrub and you’ll come to a villa development on the right. Shortly after, there’s a steep downhill towards Praia de Monte Clerigo. A track off to the right leads to some spectacular cliffs and sea views but there’s no easy way down to the beach. Swoop down into Monte Clerigo – watch out for sand where the road crosses the beach. There’s a lovely beach and some colourful houses. You turn back inland here and begin to climb again but nothing like as steeply as before. The area around Arrifana is a bit spoilt with sprawling holiday developments – some of it seemingly just plonked at random on the hillside – but it’s worth continuing for the views to come. Go straight on at the first roundabout if you want to go out to the point and look at the sea, alternatively turn left to cut the corner. If you’re go out to the cliffs, it’s left at the second roundabout and then straight on at the next. From the point, retrace your route to the third roundabout and this time turn right and just keep following and following this road (if in doubt bear to the right). You’ll eventually come to a T-junction at Praia de Arrifana. Turn right to ride out to the ruins of the fort and look down on the incredible beaches below – and admire the surfers on the waves. The surf here can be spectacular and this is a very popular beach. Retrace your steps again and just keep going along the same road – the M1003-1 – and it will bring you back to the top of the first big hill out of Aljezur. On the way down, there is a left turn that will take you down past the ruins of Aljezur’s castle but the road down through the town is extremely steep and cobbled in places so you may prefer to stick to the same road.